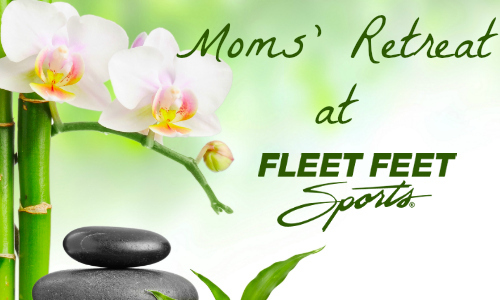 Annapolis is the town that runs, but Fleet Feet Annapolis knows that moms are the ones who really run this town. To celebrate our moms, we will have our fourth annual Moms 's Retreat on Sunday, April 29 from 10am to 12pm. Join us for a FREE spa morning featuring a yoga class at 9am, face mapping from Ulta Beauty, a $50 gift card raffle from Hand & Stone, gifts with purchase, raffles, and more. Use this time without little ones pulling at your running skirt to be fit for a new bra, new shoes or, better yet, both. While you are here learn about the Anne Arundel County Chapter of Moms Run This Town and how running together can help you run stronger. Please RSVP below so we can plan accordingly.